Together, we learned so much about cities, housing, and community engagement. Our class case study projects, and the videos students produced – about Vallcarca, Bellvitge, the Superilles, and Can Batllo – are meant to share some of that knowledge. Click here to take a look! 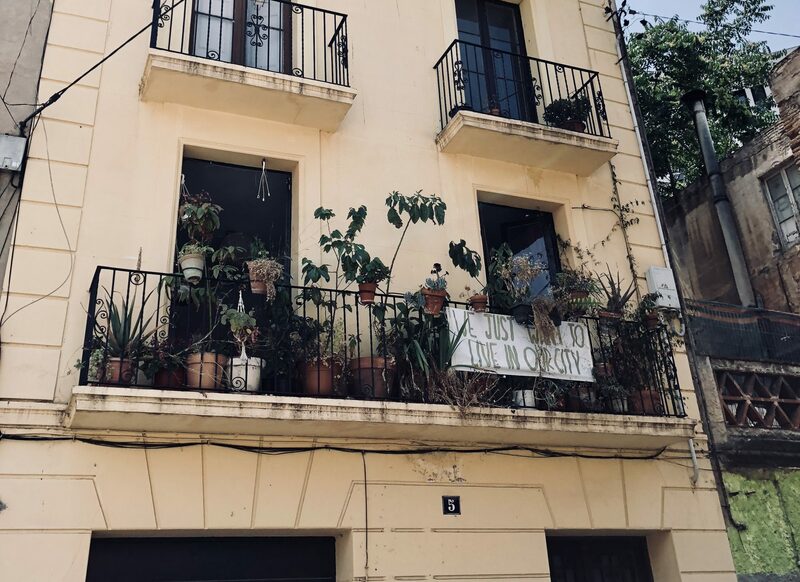 Every year, the University of California, Davis organizes a summer abroad course on urbanism and housing in Barcelona, adding to the base of knowledge that is reflected on this site. David de la Peña is Assistant Professor of Landscape Architecture and Environmental Design in the Department of Human Ecology at the University of California, Davis. As an architect and urban designer, he has practiced professionally for over a decade, specializing in sustainable architecture and community-based design. He received his Masters in Architecture from the University of Texas at Austin (1998), and his Masters in Urban Design (2006) and PhD in Environmental Planning (2013) from the University of California, Berkeley. His research focus is on participatory urbanism and the engagement of designers in grassroots community projects. He has published articles and chapters on participatory design in Barcelona and the US, and on grassroots urban agriculture movements in California. Carles Baiges Camprubí is founder and partner of the architects’ cooperative Lacol (www.lacol.coop) and activist at the housing cooperative La Borda (www.laborda.coop). He received his Masters in Architecture in the Universitat Politècnica de Catalunya in Barcelona (2011) and his Master in Urban Sociology by the Universiteit van Amsterdam (2015). He mainly works on citizen participation, public space and cooperative housing. Andy Garcia is a Community and Regional Development undergraduate major at University of California, Davis. He is an alumni from the Study Abroad Class of 2017 and has returned as an intern this year to help manage this website and acted as a resource to the students. His interests are city planning, social justice, and community participatory design. He works extensively with the Community and Regional Development program on campus as a Peer Advisor. Through his involvement on campus he plans to have a career that involves community building and social longevity.